Dressing your home with quality and reliable flooring is surely a serious investment, as you want to enjoy in all the benefits it provides for the many years to come. One of the latest, yet top-rated flooring alternatives is the laminate flooring. Many features make laminate flooring a first-class covering of almost all types of surfaces, including superior finish as a key one. So, let’s take a look at the top reasons why you should turn to laminate flooring as the ideal flooring solution for your home or office. If you expected that laminate flooring will cost you a fortune, let me tell you right away- you have been thinking in the wrong way all this time! In comparison with all other types of flooring available on the market today, laminate flooring is certainly the most cost-effective option to cover home and office surfaces. In terms of price, it is not only the physical cost of laminate flooring that is approachable to everyone’s pocket, but the costs for installation and long-term maintenance as well. First laminate floors were introduced to the market in the 1980’s and since, the advanced laminate manufacturing technology has been continuously modifying its products, so that latest generations of laminate flooring feature the finest characteristics of multiple types of flooring. In other words, modern laminate floors resemble to marble, stone and granite floors, while giving the same feeling of real hardwood when walking on the laminate surface, at the same time. Laminate floors are very simple and easy to install, as they offer more than just one installation option. Today’s most popular laminate-flooring installation methods are: glue, nail and floating-style installations. Since laminate floors are output of the advanced flooring industry, they come in a pre-finished form that requires no sealing, sanding nor staining during installation. Another reason to choose laminate flooring for your home or office is adjustability. Therefore, laminate floors can be flawlessly installed to any type of sub-floor (granite, wood, tile, vinyl, linoleum), as long as it is dry, clean and level. To have your laminate floors clean, shiny and good-looking, all you need to do is regular dry-mopping and vacuuming. Cleaning stains and spills on laminate floors is much easier than any other type of floor covering, like a carpet, for example. 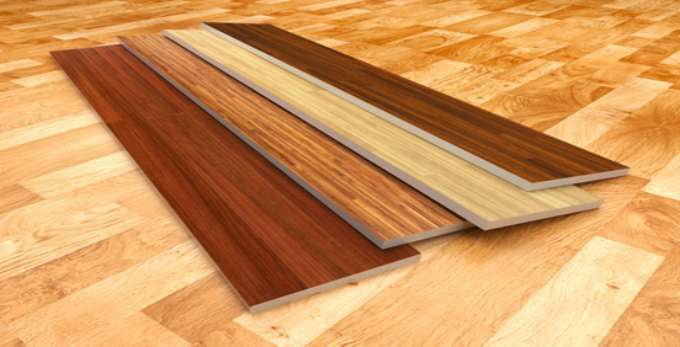 Where to find high-quality laminate flooring?